The KLAWZERO Full Bore is the only Breakaway Coupling of its kind in the world that provides double valve 100% instantaneous shut-off and is suitable for viscous, abrasive or hazardous media transfers. The KLAWZERO Full Bore provides an identified and safe parting point within the transfer system and is specially designed for the demands of viscous, abrasive and hazardous media transfer operations. Minimizing risk of injury, clean-up costs and damage to assets and reputations. In an emergency, the valves close and the coupling then separates – providing downstream and upstream flow shut-off. Click the video to see an introduction to KLAWZERO. No line restriction means faster flow and reduced transfer time. This unique Full Bore design offers full unrestricted media transfer. The KLAWZERO Breakaway Coupling offers the benefit of being able to “pig” the transfer line without removal from service. 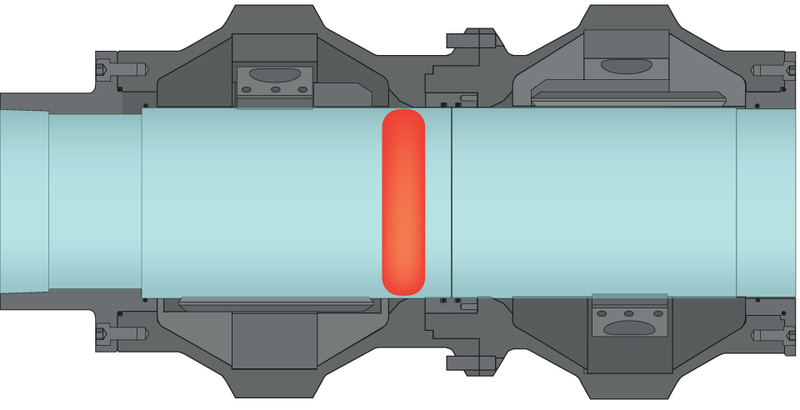 Shown: Illustration demonstrating how cleaning can be done without the need to remove the KLAWZERO Breakaway coupling from the line. Provides instantaneous 100% double shut off when a predetermined tensile load is applied. All working mechanisms are completely isolated from media flow until activation. Clogging or abrasion from the media is therefore eliminated. 1. 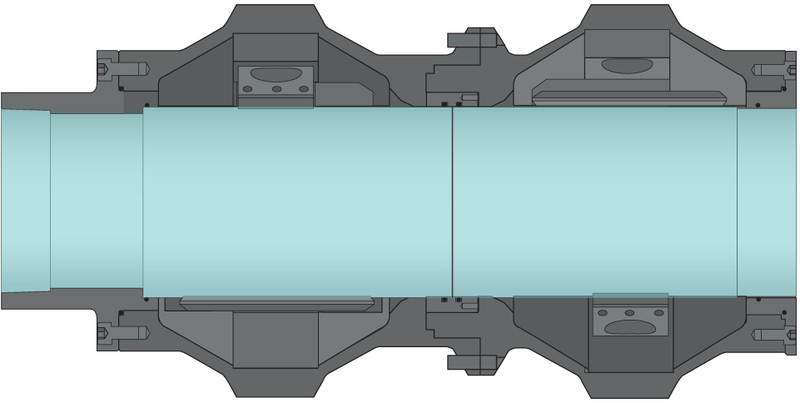 The Full Bore Coupling is in its in-line operation state. 2. The unit is activated and the valve closing sequence begins. 3. As the internal sleeve extends, this allows the valves to close. 4. The sleeve separates and the activation is complete. Conceptual illustrations only. Contact KLAW for technical representations. Threaded, flange and hammer unions.